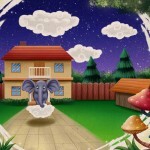 Help Kids Look Forward to Bedtime by joining Klaus on his Dream Adventures! 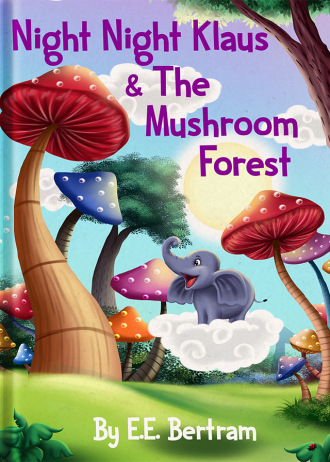 In book one, Night Night Klaus & The Mushroom Forest, young Klaus has another one of his amazing dreams, where he is a flying small elephant. This time he finds himself in a mushroom forest and meets a spider who desperately needs Klaus’ help to find her missing 8th shoe. 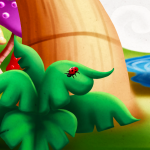 To make the story extra fun, there are ladybeetles hiding throughout the story. Can you count how many? If you think you know the answer to how many there are, go to our events page and enter the ladybird competition and you might win a prize! This book comes with a FREE Audiobook read-along download, with chimes to turn the page and music as well! Read by the author E.E. Bertram. 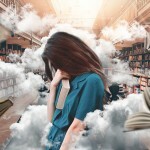 Visit the downloads page to download your free Audiobook. JOIN OUR MAILING LIST TO BE NOTIFIED OF MORE RELEASES IN THIS SERIES! Ambitious Teacup loves getting into mischief when the grown-ups are out of the kitchen. 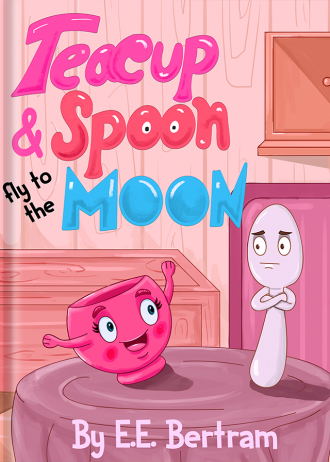 Yet again, poor, worried, and slightly insecure, Spoon, gets roped into another one of Teacup’s grand plans…but will they make it? And will they return? A story of adventure, risk, hope, passion, trust, confidence, insecurity, dreams, triumph, failure, and community spirit. A story in rhyme that has it all.